LONDON: English batsman Jos Buttler believes the confidence gained in the Indian Premier League (IPL) is the reason behind his fine form in the longest format of the game. 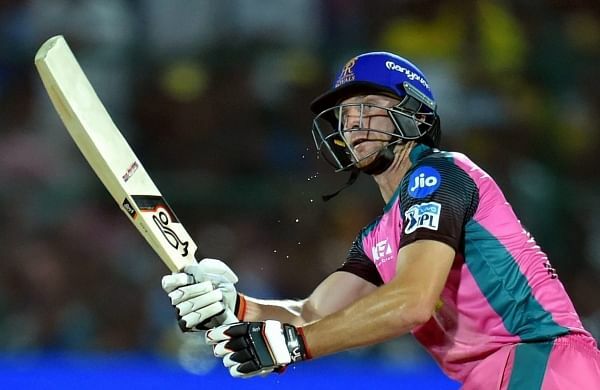 By IANS LONDON: English batsman Jos Buttler believes the confidence gained in the Indian Premier League (IPL) is the reason behind his fine form in the longest format of the game. Buttler, who plied his trade for the Rajasthan Royals in the IPL, credited the cash-rich tournament for his rise as a batsman. “Those couple of weeks in the IPL gave me huge amounts of confidence,” Buttler was quoted as saying by the ICC website. Buttler said not worrying about the format of the game definitely helps in putting down the pressure. Buttler also said that the shortest format of the game made him realise the need to accept occasional failures.